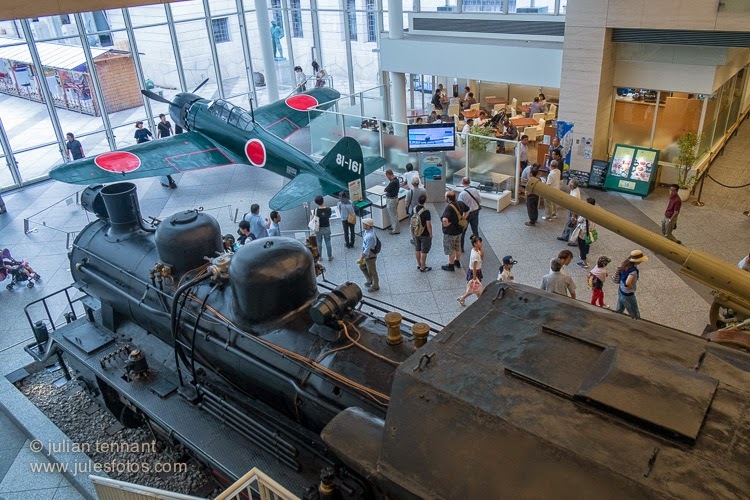 Given my interest in military history and memorabilia it was only natural that my trip to Japan would include a visit to the controversial Yushukan, a military museum established in 1882 and dedicated to Japan’s war dead. 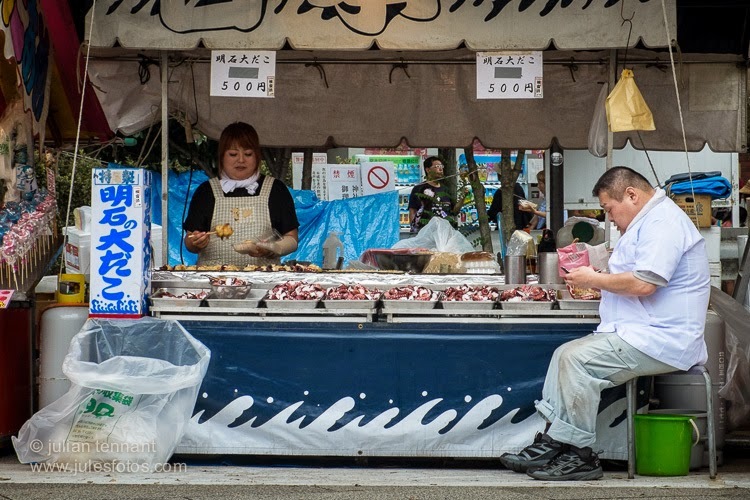 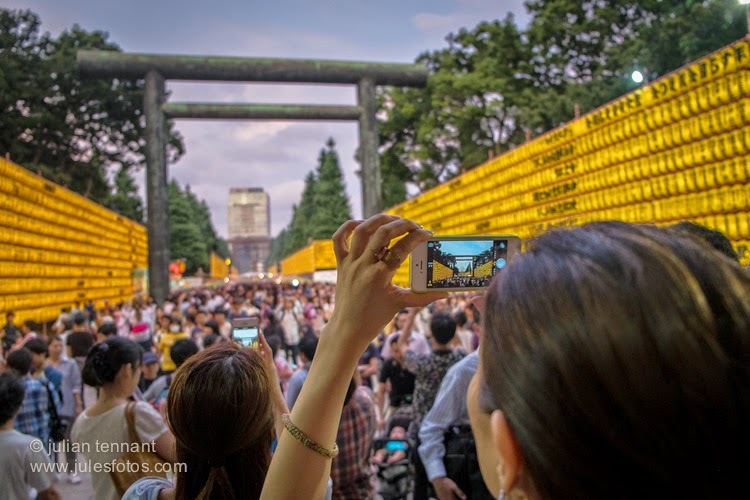 Located within the grounds of the Yasukuni Jinja shrine, I planned to visit on a Sunday to take advantage of the flea market that was also held within the temple complex. 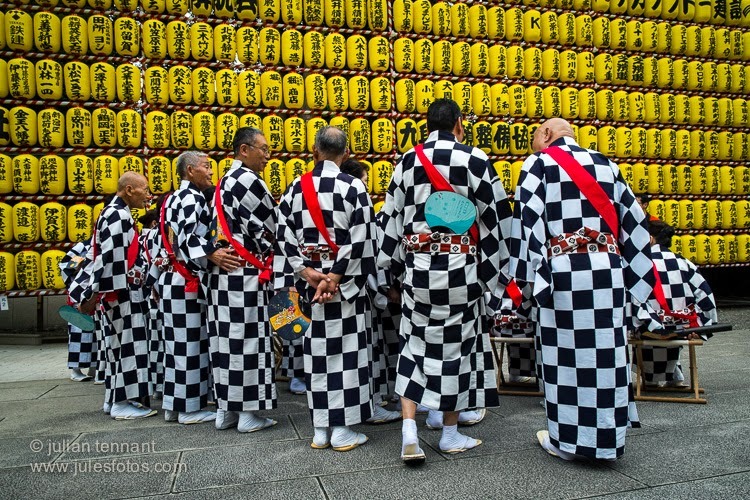 When we arrived, just before lunch, the shrine was already filling up with people and it was obvious that something else was happening. 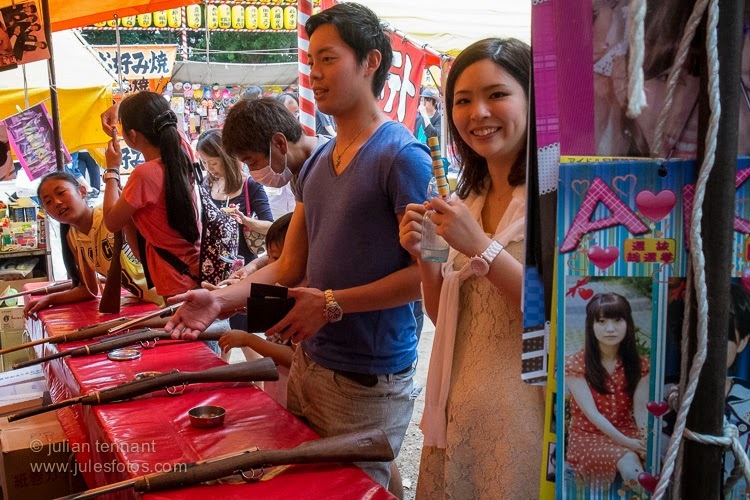 Coincidentally, we had arrived on the first day of the annual Mitama Matsuri festival and there would be no flea market scavenging today, so after spending a few hours exploring the museum and contemplating it’s revisionist version of Japanese war history we ventured back out onto the grounds of Yasakuni to check out the spectacle. 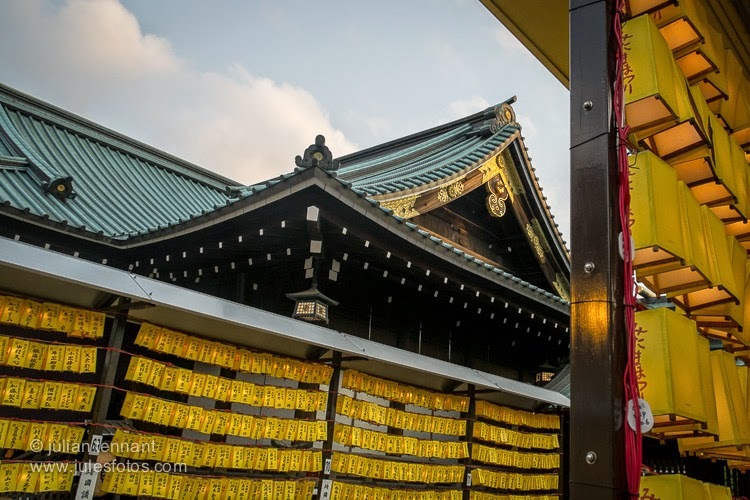 Yasakuni Jinja whose name means “for the peace of the country” was founded in 1869 to worship supporters of the emperor killed in the lead up to the Meji Restoration. 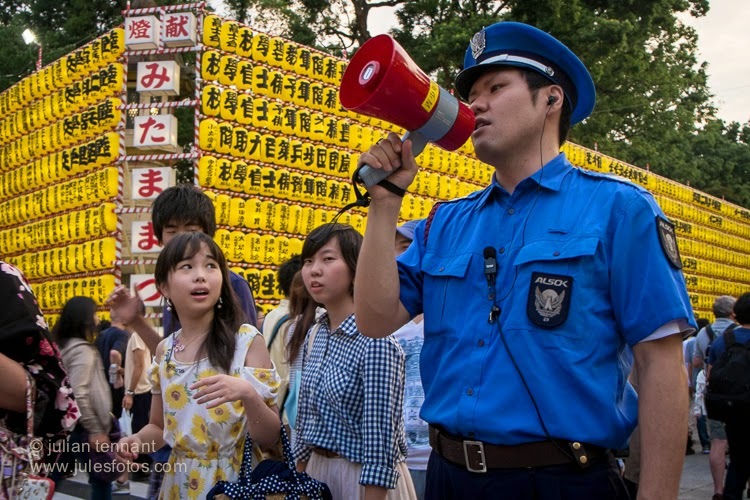 Since then it has expanded to become a memorial to Japan’s 2.5million war dead. 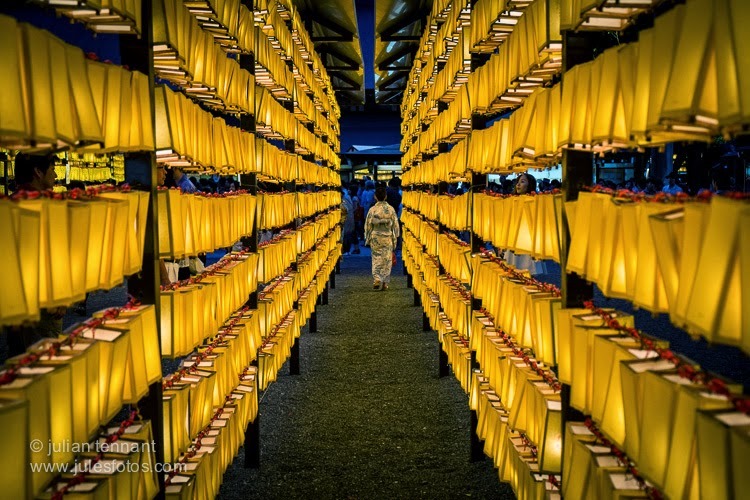 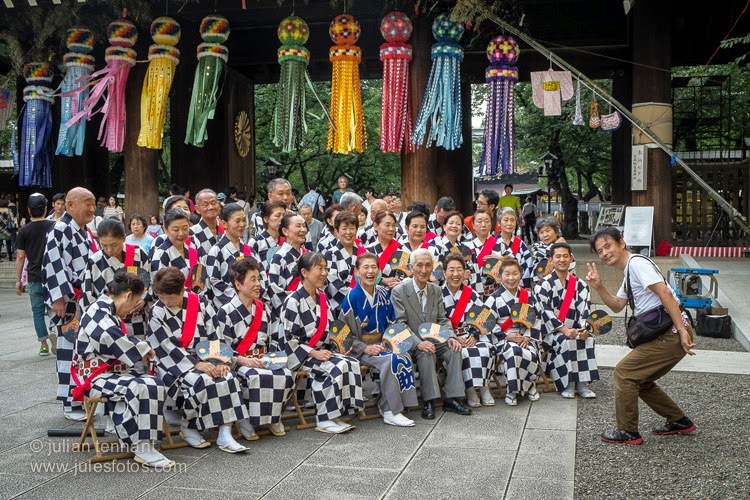 Every July around 300,000 people flock to the shrine during its annual Mitama Matsuri, one of Tokyo's biggest Obon festivals commemorating the dead. 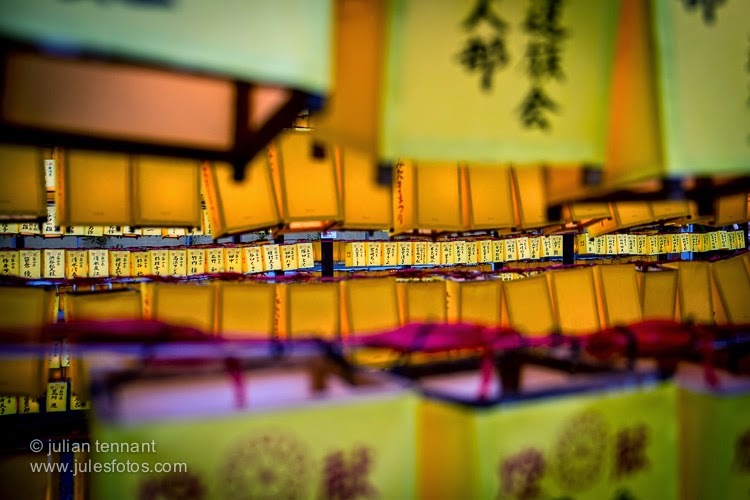 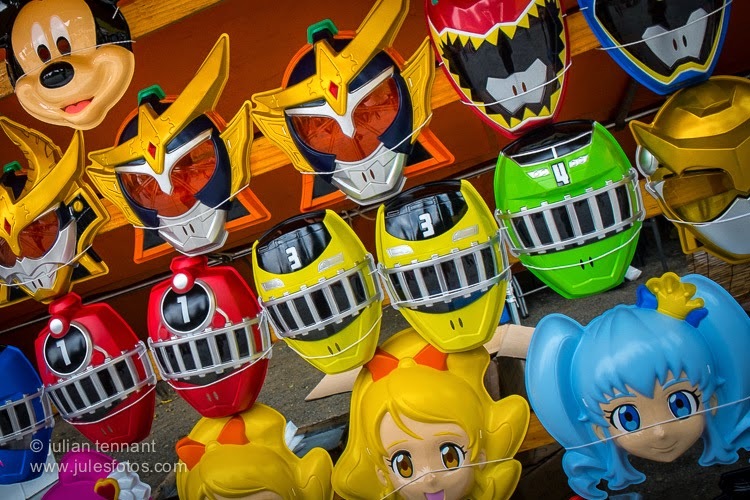 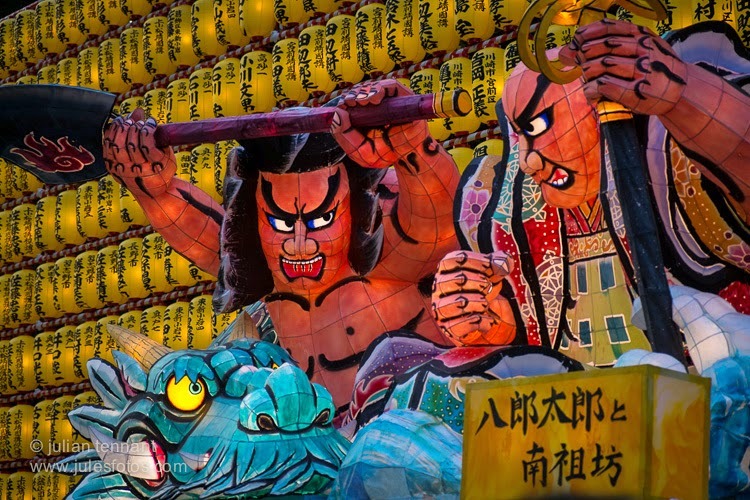 The paths leading to the shrine are lined with 300 000 lanterns and the whole area takes on a carnival like atmosphere complete with food and drink pavilions and a sideshow alley full of games and entertainment.